Port Harcourt based & Abia state superstar singer Prizzy with feel good vibes and lyrical flavour like Flavour N'bania debuts today on VineNG with a feel good chune where he pours out his love for a certain pretty girl. Both the visuals and the audio for the hot tune Pretty Girl are out and available for offline download and also online streaming, get it now below. You'll practically keep this on repeat. 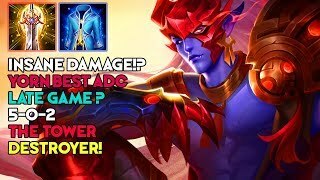 Arena of Valor | YikeZ Yorn Side Lane | Build + Arcana | UNBELIEVABLE DAMAGE!